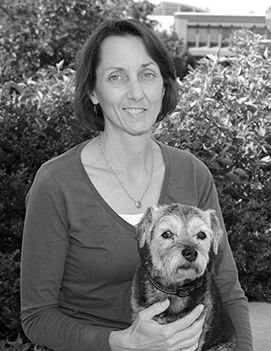 Leslie Sprunger is an Associate Professor of Anatomy and Physiology, associate chair for veterinary medical education in the department of Integrative Physiology & Neuroscience, and associate dean for the WIMU Regional Program in the Washington State University College of Veterinary Medicine. She has a B.S. in Biological Sciences from the University of Alaska, Fairbanks; a DVM from Washington State University, and a Ph.D. in cellular/molecular physiology from University of Minnesota. She has taught and held educational leadership positions at WSU for over 18 years, pioneering the use of response systems in the program and developing novel ways to use those systems to enhance student learning and engagement. She has received numerous teaching awards and is a Fellow of the Teaching Academy of the Consortium of West Region Colleges of Veterinary Medicine.